Voters To The Parties: It’s A Date, Not A Marriage : It's All Politics Every time power shifts between the major parties in Washington, pundits and prognosticators say there's been a sea change. But in truth, voters can and often do change their minds quickly about who should be in charge. Eight weeks from now, on Nov. 2, voters will make some revisions in the Congress they built two years ago. Indications are the renovations will be extensive. It has become a commonplace to predict a Republican majority in the House. If the voters do that, history tells us they may well dismantle the Senate's Democratic majority as well. If we do have another two-chamber turnaround in the works this fall, many will see it as a great watershed in U.S. history. Or at least the end of the "Obama era" and a return to America's roots -- however they may define them. But there will be more exaggeration than truth in these statements, just as there usually is when such prognostications follow a particular round of voting. The truth is that the changes engendered by one American election rarely survive intact past the next one. The political middle that decides nearly all our elections changes its mind readily and sometimes quite quickly. You might say we regard our election choices more like a date than a marriage. But that does not prevent the winning parties from making the kind of fulsome pronouncements you often hear at a wedding. 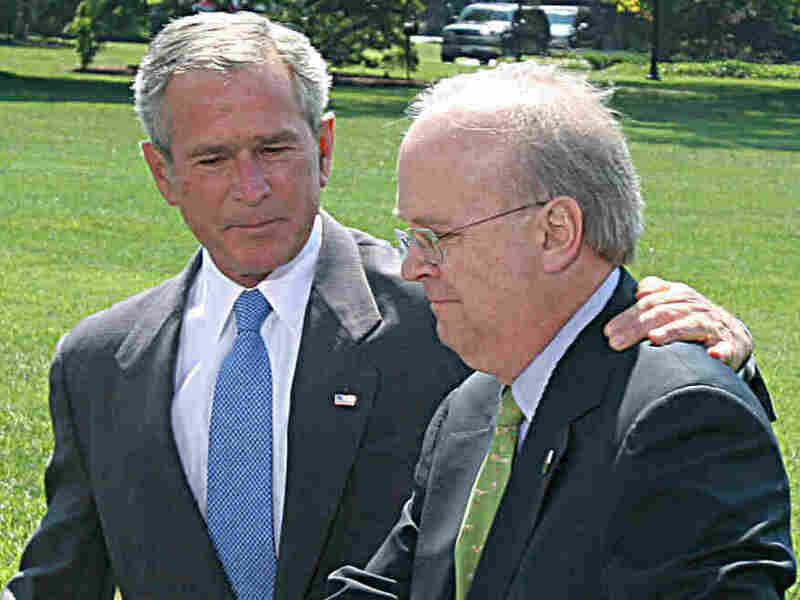 In 2005, shortly after President George W. Bush won a second term with a little over half the vote, his strategist Karl Rove was predicting permanent party realignment. There were fewer and fewer places where it was safe to be a Democrat, he alleged. A batch of books promptly appeared depicting Republicanism on the march for years to come. But in 2006, Rove's permanent Republican majority suddenly became the minority in both House and Senate. And in the next presidential election cycle, the country gave nearly 54% to the Democratic candidate (an African American whose middle name was Hussein). Both Democratic waves in 2006 and 2008 owed much to the defeat of Republican incumbents in the very states Rove had been talking about, from Colorado and Nevada to Indiana, Ohio, Virginia, North Carolina and Florida. Reduced to just 177 seats in the House, the GOP had been hammered to a mathematical minimum. So right on cue, obituaries appeared for Rove’s party. They said the youthful and multicultural demographics of the Obama coalition pointed to more of his partisans registering and voting, while the older Anglo (read Republican) population passed on. But, to say the least, the prognostications of Republican disappearance were premature. The GOP came back more united and willing to fight than ever. Any chance the new president thought he had to work with Republicans or co-opt them (take your pick) was soon forgotten. As voters seemed to respond, Republicans got all the more united and resistant. And the crew getting elected to newly Republican seats in both chambers this November will be the most distinctly conservative class since the "Gingrich Revolution" of 1994. That class shattered the notion of a permanent Democratic majority in the House and spawned a new vision, a second coming of the Age of Reagan and the end of the Democratic Party as we knew it. How amazing then that Democrat Bill Clinton was re-elected president easily in 1996 and that the ranks of Newt Gingrich's shock troops were thinned in that election and the next two as well. Hearkening back to the first Age of Reagan, in the early 1980s, the losses the GOP sustained in his first midterm (1982) were substantial (26 seats in the House and a dozen governorships), prompting many respected commentators to declare his era over. That turned out to be wrong, as he proved by carrying 49 states just two years later. What we are talking about here is the tendency to see permanence where no such thing exists. Even the notion of one party running Capitol Hill for a decade may be out of date. As Rove and his successors have discovered, the math is getting difficult for either party, especially for the one that holds the White House. From 1920 to 1968, we had presidents working with their own party in control of both chambers of Congress for 38 years and divided government for just 10. But since then, that ratio has been reversed. From the election of Richard Nixon in 1968 to the election of Barack Obama 40 years later, we had 30 years in which the party in the White House did not have congressional majorities. And we appear to be heading back in that direction. Whether they would articulate it this way is doubtful. But voters seem to have concluded that giving one party all the power in Washington tends to set that party up to fail. Theories abound as to why this is so. But one thing seems clear: The contests that preoccupy Washington are often opaque and irrelevant to voters in the political middle. The two contests that animate Washington are the idea war and the power game. The first is the struggle over which ideas and policies will best keep the country safe, enable the economy to prosper and balance the needs of individual and society. The second is simply the scramble to see who will hold office, run the government and get to be the boss. The two contests overlap but they are not the same. If it is safe to say these wrangles are the obsession of the political class and the media, it is surely safe to say they mean far less to average working Americans who just want to know what’s in it for them. In trying times such as these, independents will tilt against the incumbent president’s party, especially if it runs Congress. This, in combination with the relative turnout among each party’s faithful, determines the outcome of our federal elections. The enthusiasm factor currently is off the charts among conservatives and just plain off among liberals. So that completes the basic picture. You know which way to bet in 2010. But beyond that, don’t be too sure. It’s called an election cycle because by nature it turns.